· It presents the meanings of the Arabic words of the Qur’aan in the order of their occurrence. It avoids repetition of words to a great extent. However, the words are repeated quite a few times for the facility of the reader. · It avoids the painful exercise of locating each word in a dictionary. · Since you will learn the Arabic through the Qur’aan, you will have the double advantage, of learning Arabic and learning the Qur’aan. So whatever effort you spend, will directly be counted, Insha-Allah, as ‘hasanah’ (a good deed). · You will instantly feel the effects of studying this book in your daily Prayers, insha-Allah. This will encourage you to keep going. Such encouragement may not be there if you learn Arabic from any other source. · The internet version alows you to print out, view on computer screen in office or at home. When you take a break, just start memorizing the words of those Surahs you plan to study or review words of those Surahs which you have covered so far. As you will see from the statistics, the new words in each Parah decreases drastically. In principle, if you take out the repeated words, the total number of words in Qur’aan may well be less than 2000!!! Allah Subhanahu wa ta’aala has revealed His book which contains so few words. This is another miracle of the Qur’aan. These statistics should give you a strong push to go ahead and continue memorizing till the end of this book, inshaAllah. All praise and thanks be to Allah, and peace be upon His chosen bondsmen and women! The Qur’aan is the final revealed Book that contains the message of guidance from Allah for all humankind. Accordingly, the salvation as well as worldly welfare of the entire humanity depends upon following the guidance ordained in this Divine Book. In other words, success in this world as well as the Hereafter for humankind is treasured in this great Book. Therefore, there is an endless need to compile Qur’aanic expositions (in the context of modern challenges and evolving circumstances) while calling people towards understanding its eternal message. Indeed, blessed are those who have been given the opportunity to serve the Qur’aan in one way or another, and more so if the effort receives general acceptance among the public. This recognition fulfills the very objective of providing an easy way for reading and understanding the Qur’aan. Our beloved Al-Haaj AbdulKarim Parekh is one of these fortunate men who has served the Qur’aan. He is well-known through his popular lectures and lifelong service of propagating the message of Islam. He is an ardent caller towards the Qur’aan. In the city of Nagpur, India, his regular Qur’aanic lessons (Dars-e-Qur’aan) have affected the Muslim youth, especially the educated class, and kindled in them the spirit of servitude to Islam and living according to the tenets of the Qur’aan in everyday life. Till this day Shaikh Parekh is engaged in this sterling service to Islam despite his demanding occupation as a merchant. 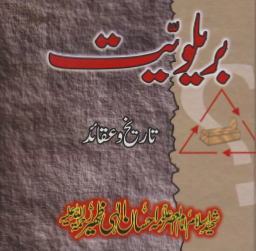 His book, entitled Lughatul-Qur’aan, is part of his literary service which he wrote in Urdu in order to convey the message of the Qur’aan among the common and educated class alike so as to make understanding the Qur’aan easy for them. The evidence of its wide acceptance is that within 15 to 20 years, more than a dozen editions of the book have been printed. He has translated the difficult words of each Juz’ (parah) with the help of authentic translations and according to the context in which the word is used. He has also provided the root of the word (verb) wherever necessary. Brief rules of Arabic grammar are also provided at the beginning of the book. This way, the book has become a key for Arabic words as well as a guide to studying the Qur’aan with the least effort. It may be mentioned here that because of my busy schedule, I could only browse through the book casually. May Allah reward the author and increase the usefulness and acceptance of the book, Ameen! Shaikh AbdulKarim Parekh has been an ardent promoter of the message of the Holy Qur’aan among the people, especially in the Indian Subcontinent. He is widely acclaimed for his lectures and Duroos (discourses and commentaries on the Holy Qur’aan), which he has been delivering for the last forty years. 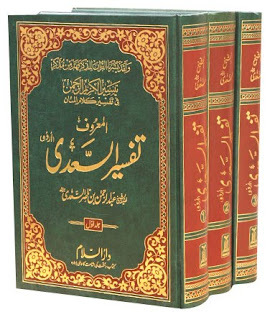 Among his notable works is the translation and commentary of the Holy Qur’aan in simple Urdu. The emphasis on simplicity of language was to convey the message of Qur’aan to common men and women of the Indian subcontinent, who in general are semiliterate. His composition, the Lughatul-Qur’aan (Dictionary of Qur’aan) has been published more than forty times since 1952 and has enabled countless people in India and Pakistan to develop a direct link with the Book of Allah. 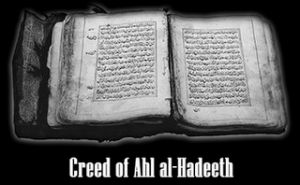 The foreword of Lughatul-Qur’aan was written by the well known scholar, Shaikh Abul Hasan Ali Hasani Nadwi. The book has also been translated and published in some other major languages, including Hindi, Gujrati, Bengali, and Turkish. Shaikh Parekh has authored various other books, such as Qaum-e-Yahud Aur Hum: Qur’aan ki Raushni Mein (Jews and us: In the light of the Qur’aan), Ooper ki Dunya (The world above us), Bahno ki Najat (Salvation for sisters), Aurat ki Tauheen (Insult of the woman), Vigyan Yug Mein Islam Dharam (The religion of Islam in the age of science), etc. His lectures and Duroos are available in the form of audio cassettes. Recently, the AVM Studio of Madras produced a set of 30 audio cassettes containing the Urdu translation of the Holy Qur’aan along with the Arabic recitation by the most respectable Qari of India, Hafiz Qasim Ansari. Besides Hindi, Urdu, Marathi, English, Arabic, Gujrati, and Sindhi, Shaikh Parekh has a good command of Sanskrit, the language of Hindu religious books. His deep knowledge of other religions, such as Hinduism, Christianity, Judaism, Buddhism, Jainism, Sikhism and other faiths, puts him in a distinguished class of Islamic scholars. In fact, he is considered as one of the most versatile scholars for addressing inter-religious conferences and seminars, conducting dialogues and interacting with non-Muslim scholars. Shaikh Parekh deals with modern challenges and conflicts in the light of the Holy Qur’aan. He is highly appreciated by one and all. In short, Shaikh Parekh has dedicated his life to spreading the message of the Qur’aan to both Muslims and non-Muslims. He pays special attention to educating the Muslim women who are a neglected lot in India. He has contributed greatly to building a cordial atmosphere among various religious communities of India. This is essential in propagating the message of Islam. · Start from the beginning (Surah Al-Baqarah, Al-e-Imran, and so on). · Go page by page or Ruku by Ruku or whatever part of the Qur’aan you are comfortable with. · For each part, (a) memorize the meanings of new words; (b) read the translation and try to connect the Arabic words and their meanings with the translation. Read the Tafseer of that part. The Tafseer will remind you of the meanings, and meanings will remind you of the Tafseer. For example, while reciting Surah “the elephant”, if you remember the meaning of just one word, Fil, the whole story of Abraha will come to your mind instantly (if you had read the Tafseer). Further, once the story is there in your mind, it will help you remember the meanings of some of those words in the Surah which you may have forgotten.